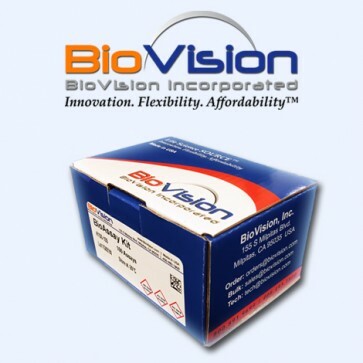 Genomic DNA Isolation Kit | K281 | BioVision, Inc.
Isolates highly pure Genomic DNA within 90 min. 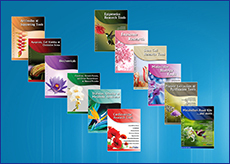 • Applications- PCR, DNA hybridization, enzyme manipulation, cloning, Southern blot, and array-based experiments. The Genomic DNA Isolation Kit provides a simple and convenient procedure for rapid isolation of genomic DNA from mammalian cells and tissue samples with high yield and purity. The novel method requires less than 90 minutes to prepare highly pure genomic DNA. The extracted genomic DNA is free from protein and RNA, and suitable for a variety of applications such as PCR, DNA hybridization, enzyme manipulation, cloning, Southern blot, and array-based experiments. How can I measure the DNA amount or purity after the last step? Generally 20-50 ug DNA can be obtained following the kit procedure. You can either take 1/3 - 1/2 of the solution and add water to 100 ul to measure it using 100 ul micro-cuvet, or alternatively, dilute the whole amount of DNA into 100 ul or 1 ml cuvet for measuring and then recover it by isopropanol precipitation. Does the kit remove mitochondrial DNA? The kit does not remove the mitochondrial DNA. If you want to remove mitochondrial DNA, you can lyse the cells in 0.5% NP-40 in Tris Buffer (pH8.0), then centrifuge and isolate nuclei pellet (mitochondrial DNA will be in supernatant). Then follow the kit procedure. I wanted to clarify whether or not the following product can isloate nuclear DNA from mitochondrial DNA in birds. We have not tested your specific application. However, the genomic DNA isolation kit can be used in any cells or tissue samples. This kit is different from column based DNA isolation kit. In this kit, proteins or RNAs is degraded and DNA is precipitated. The kit can recover all DNAs from your samples. García-Ruiz et al., In vitro treatment of HepG2 cells with saturated fatty acids reproduces mitochondrial dysfunction found in nonalcoholic steatohepatitis. Dis. Model. Mech.,Feb 2015; 8: 183 - 191. Kim Y et al. (2007) Cancer Res. 67: 3583 - 3593.